After successfully completing 40 years in the market, RSM Malaysia enters 2019 more determined to contribute effectively to the fields of audit, tax and consulting as a member of the globally-recognised Network, RSM International. On this occasion, OIC TODAY had the pleasure to talk to Dato’ Robert Teo, Chairman of RSM Malaysia and Mr Neil T Hough, Regional Leader of RSM Asia Pacific. The conversation started by Mr Hough who gave a quick summary about RSM International and some statistical facts about its progress. The Network has offices in 116 countries and it employs more than 41,000 staff members in various positions. The turnover is estimated at USD 5.4 billion which is generated through committed and mutually-beneficial collaborations with 3,750 partners worldwide. As the Regional Leader of RSM Asia Pacific, Mr Hough then zoomed in to highlight that RSM International has USD 642 million of fees in the region. RSM International is the sixth largest Network in audit, tax and consulting globally. It has offices in 116 countries across all continents. One unique characteristic of RSM International is that all its members share the same methodology and process, even though they work independently in different parts of the world. In terms of the growth in referrals, the RSM network enjoys a significant rate currently at 21 per cent as mentioned by Mr Hough who also predicted that consulting services is expected to grow further as taxes are growing in most countries around the world. The challenge remains in the ability to adapt to technology disruptions which change business models of companies quite rapidly. Only innovative, up-to-date solutions would work in such circumstances. RSM International believes that a key factor to serving clients is to understand their needs and make them understand the service you are providing. That is why one of the Network’s taglines is The Power of Being Understood. Mr Hough also highlighted that the Asia Pacific offices, like the other regional offices in the US, Latin America, the Middle East, Africa and Europe, provide solutions for the region rather than for individual firms. This means that the Network’s experts identify certain patterns in the business operations and their respective regulations across the region and then detect what issues may arise in order to find workable solutions. The centres of excellence which are located in every region help in fulfilling this task since these centres employ experts in different fields who work separately in one region and together with experts from other regions to discuss the new trends in the market and formulate new strategies that match them. After the introduction given by Mr Hough about RSM International network, we moved on to talk about RSM Malaysia which is celebrating 40 years of successful operations and steady growth. For that we asked the firm’s Founder and Executive Chairman Dato’ Robert Teo about the progress of RSM Malaysia and how they are different from when the firm started 40 years ago. In simple and straightforward response Dato’ Robert said “the difference is very, very significant.” Forty years ago, the Malaysian economy was not so sophisticated, the tax laws were much easier, audit requirements were much less stringent and the stock exchange requirements were definitely not as complex as they are today, he explained. We have been fortunate that we were able to get the right people into RSM Malaysia and that has resulted in our steady growth over the years. Dato’ Robert summarised the cause of this radical transformation in one word, “Regulators”, and how they control change. “Work then was of course less complex, but a lot of new things have evolved in the past years. 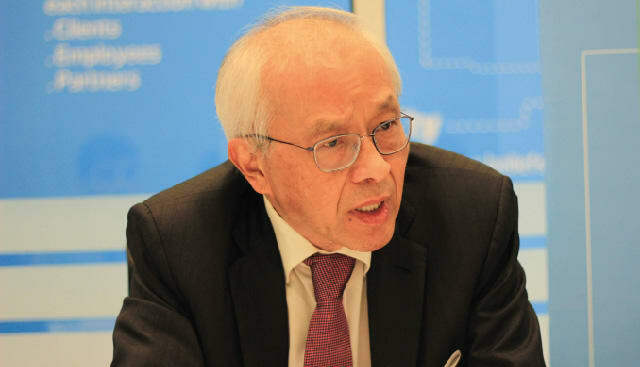 Things like transfer pricing was never heard of those days and now you read about it, about all the regulatory requirements imposed by the stock exchange in the daily newspapers,” said Dato’ Robert. We have to agree to the fact that change is inevitable, and the biggest challenge is to get the right people to deal with it, and once you are able to manage the regulators’ requirements of your business properly, then only can your business grow, he explained. In the ASEAN region RSM Malaysia is seen as a hub because of the highly trained people and the cost effectiveness of doing business in Malaysia, “we see this is a key area for us,” said Dato’ Robert. RSM Malaysia has approximately 350 people in terms of head count, partners and support staff in both our Kuala Lumpur and Johor Bharu offices, and at the present growth rate, RSM Malaysia should be reaching 500 headcount within the next two years, Dato’ Robert explained with notable expectation that the new reforms that are being enforced by the government will boost the progress of the country’s economy, which in turn will positively impact RSM Malaysia’s growth. As people and businesses are operating globally there are both opportunities to reap and challenges to face and overcome. In the case of RSM International, the two interviewed leaders agree there is growth potential in emerging markets by offering new and upgraded services. “Tax consulting is another avenue to keep fees coming in,” said Mr Hough. We are moving towards a value-added consulting environment as compared to how it is being done currently. In other words, we are moving away from the traditional compliance products to the value-added ones involving Data Analytics etc in a way to advise clients how to make money rather than just comply with the regulations, he explained. RSM International conducts internal audit services for government departments, providing them with risk management systems and various other services as formal government consulting. Another unique characteristic of RSM International is the ability to retain clients for long periods of time. Speaking of his work in the Asia Pacific region, Mr Hough said: “we are in one of the few regions in the world where the intra-regional referrals is fairly high. That is why most of the firms have been with us for over 20 years. We have a long history together, we all know each other and it works well for all of us.” This nature of Asia Pacific where firms work very closely implies the need to generate an Asian solution that works for the whole region, not only individual firms in certain countries. RSM International’s goal is for everyone to grow together including its employees, clients, partners and the economy at large. Since many companies are looking to expand into the global market, and with the focus of RSM on this market, the potential growth of RSM international is tremendous. In this regard, Dato’ Robert referred to the last 40 years as a great journey being a member of the RSM International. “It is one of the best decisions I made, we know each other’s member firms and we work together closely. We have regular conferences that allow filtering the experiences from the advanced economies to all other member firms in different parts of the world for the common benefits of all members,” he said. Dato’ Robert also emphasised the need for the educational curriculum to be aligned with the needs of industries. Vocational training is a key strategy he highlighted that will work especially for developing countries like Malaysia. “I think the government is looking at vocational training in a bigger way. The image of this type of training should be changed and the accounting profession needs to focus on it in the future,” he explained. 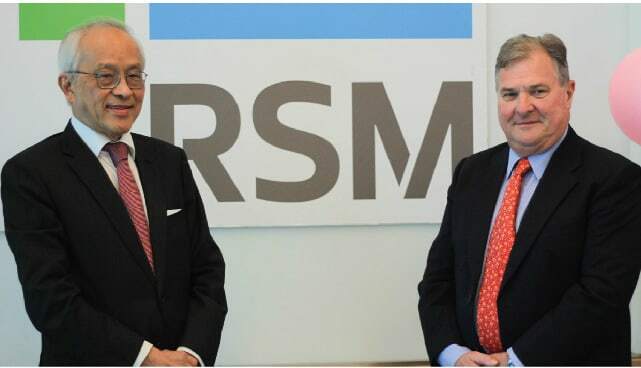 Speaking of the rapid, steady growth of RSM International, both Dato’ Robert and Mr Hough attributed the progress made to the talented, committed and loyal employees. As a leader who has specialised in performing global type of work over the past 25 years, Mr Hough believes that investment in training employees to become the future leaders who will be able to handle people with various skills is the most important element for the success of any organisation. “If we did not have the right people and we did not train them, nothing of what you see would have happened... we have great emphasis on that,” he said while talking about the training session which was organised before the interview that day. The RSM network is growing exponentially, and its services are of notable quality. That is attributed to the quality of people we have and how they deal with different cases! They are very conscious of that, and invest in people development. While celebrating a few decades of progressive success, RSM International and its firm in Malaysia is very well aware of the challenges in the industry. This is clear in the path of the Network’s future endeavours which includes, but is not limited to, the use of certain technologies such as artificial intelligence and cyber security to offer a full range of services to clients. “In a globalised world, accounting firms now have to move into a more global environment and try to offer a whole range of services,” said Mr Hough. In the rapid increase of technology adoption, we are evolving in creating value-added services in order to maintain our fee-base operations, he added. We are looking at accelerating growth, not just organic. Like most firms around the world, RSM International is moving away from the accounting profession to consulting firms and aligned industries like artificial intelligence. About RSM Malaysia’s experience with technology disruption, Dato’ Robert said: “I think the pattern of change here is similar although the rate of change may differ from country to country. I always say that what happens in the developed economies today will happen here tomorrow. The challenge is to be ahead of the others all the time by effectively responding to clients’ demands expeditiously.” For this RSM International has very focused teams for research and development to generate methodologies and processes using the latest technologies. All this is passed across the RSM Network through regular conferences and training sessions so that all firms can benefit.